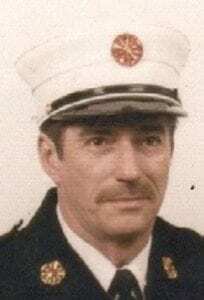 Greg Wright, retired township fire chief, passed away on Dec. 1. FLINT TWP. — With heavy hearts the Flint Township Fire Department announced that retired Fire Chief Gregory Raymond Wright passed away on Thursday December 1. Chief Wright served the Charter Township of Flint from 1973 to 2001 — 28 years — starting out as an on-call fire fighter in 1973, according to information provided by Assistant Fire Chief Mike Burkley. In 1978, Wright moved up to a fulltime fire fighter position and continued working his way up to Fire Chief. He retired in 2001. A visitation and memorial service for Wright was held on Wednesday, December 7 in Perry, Michigan. Wright was cremated. Wright was born on March 29, 1949 in Flint, according to his obituary. He is survived by his loving wife Darla, children Coreena (Steve) Robertson, Denelle Benner, Brenda (Andy) Coleman, Lloyd Wright, Damon (Angela) Granger, Melissa (Kyle) Markel, Nichole (Randy) Austin, Megan (Scott) Boles; siblings Darrell (Cheryl) Wright, Lynette (Benny) Hitchcock, Marianne (Steve) Thurmond, beloved grandchildren, nieces, nephews and special friends Seth and Dana Boggs, Duane Tune, and David Moore. Greg’s motto was C.R.C… courtesy, respect and consideration. He valued integrity and honesty. Donations may be made to the Shiawassee Humane Society, 2752 W. Bennington Rd., Owosso, MI 48867.